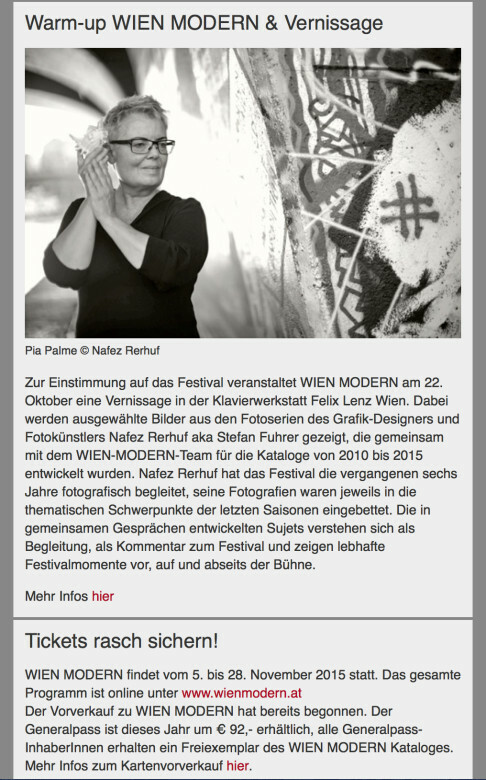 Diesen Vortrag habe ich am 21.11.2015 auf Einladung des wienmodern-Symposiums an der mdw Universität für Musik und Darstellende Kunst Wien gehalten. 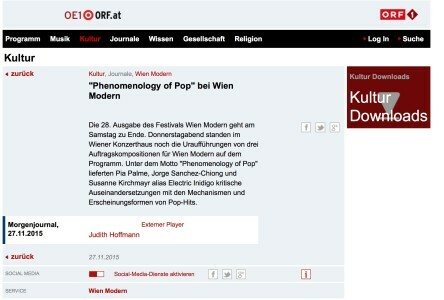 This is a lecture I presented at the Wienmodern Symposium at the MDW-University Vienna. Verfasst und sorgfältig recherchiert wurde es von Ruth Ranacher und Michael Franz Woels. 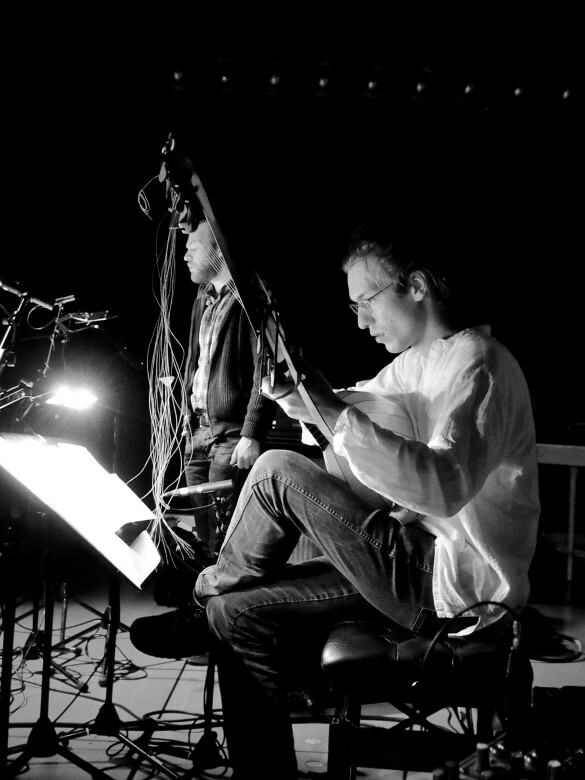 General rehearsal on 26th November, photo @ Markus Sepperer. Photographer Stefan Fuhrer presents his work during wienmodern. I really appreciate his way of generating the setting of a photography, after taking time to talk to an artist. Institut Antonio Salieri der Universität für Musik und darstellende Kunst Wien. 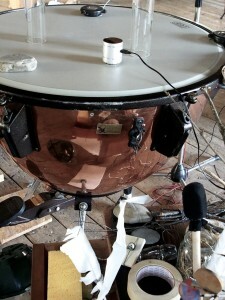 The experimentalists and composers Palme and Koch construct an installation, which they use as an instrument to perform with: an arrangement of three kettle drums, transducers, microphones, speakers, objects, bass-recorders and computers to mix electronic and analogue sounds into a spatial composition. Zwei ExperimentalistInnen bauen eine Installation aus Pauken, Objekten, Lautsprechern und Transducern, und bespielen diese mit Kontrabassblockflöte, Objekten und Elektronik. 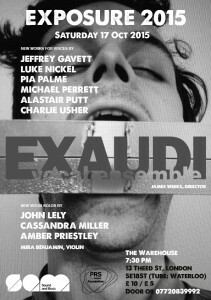 about the upcoming project with EXAUDI. New works by Like Nickel, Pia Palme, Michael Perrett, Charlie Usher. which I’m proud to be part of. 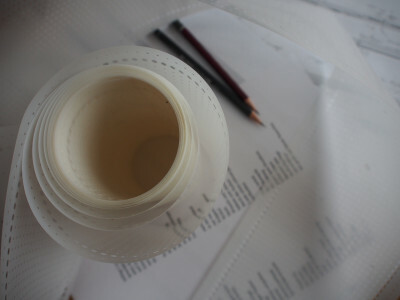 I worked on a handmade edition; form follows music. 7th October 2015, 8 p.m.
Punctuated sound, patterned on silence. A performance with my new ensemble. Sound, texts, objects & video. 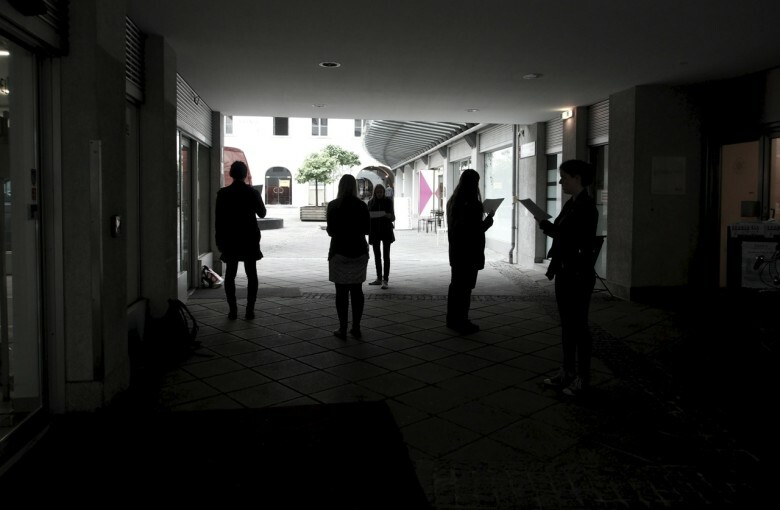 The four artists merge imaginative sound performance and experimental music with a playful outlook on texts, folklore and space. 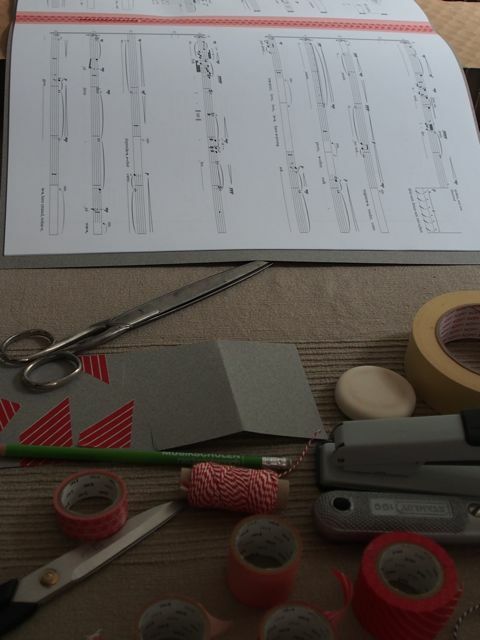 2nd October 2015, 6 p.m.
24th September 2015, 8 p.m.
double bass, electronics, texts, objects & video. Friday, 14th August 2015, 8:30 p.m. The ECAS carousel will be stationed in Linz during that time, at the top platform of the OÖ kulturquartier building, very high up. During the entire time, our compositions will be will be played! of the Federal Chancellery of Austria (Division of Arts and Culture) in pursuing my compositional work. 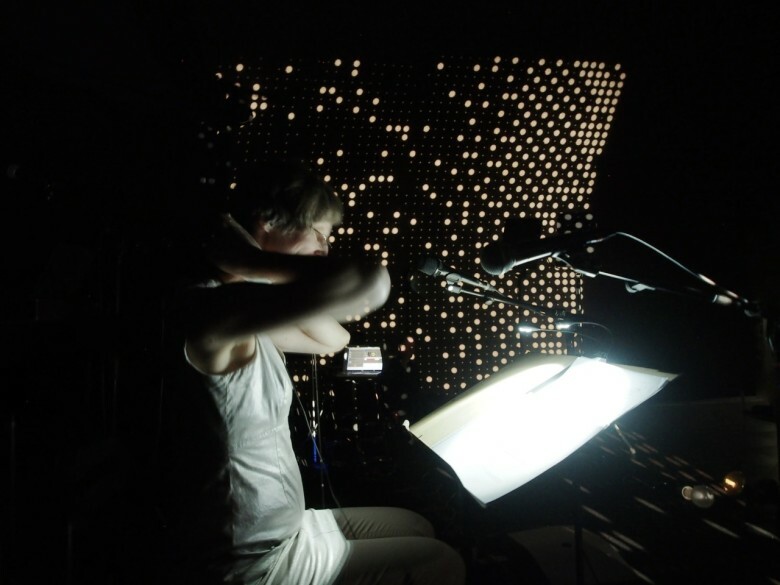 This year the Music and/as Process study group extends their focus on practice-led research by hosting a day of practice-led presentations, including compositions and performances, as a mini-festival. produced with Annette Giesriegl’s class at the Jazz department of Kunstuniversität KUG Graz. German text & text compilation contemplating a passage from ‘Romeo and Juliet’ by William Shakespeare by Pia Palme, with English excerpts from ‘The Waves’ by Virginia Woolf. is published by the Cerenem Institute of the University of Huddersfield. With this video, I extend my work on aspects of punctuation. 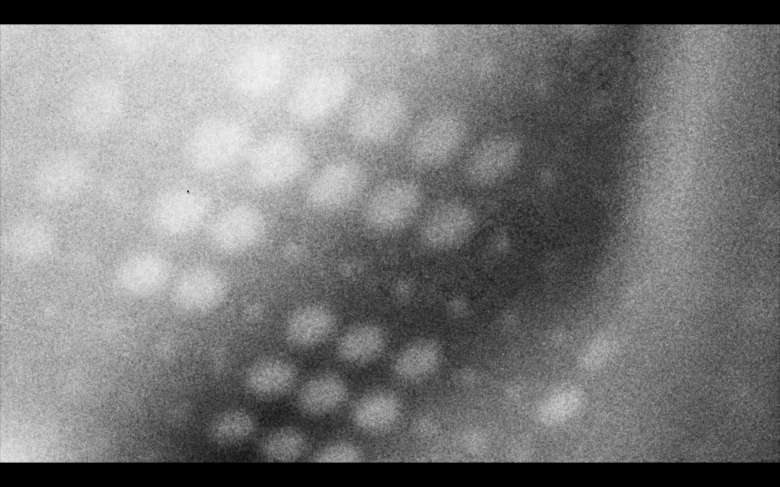 I use my punchcard roll for projections. The electronic track is an excerpt of the track for the first piece on punctuation, as below. Some sound material was created with the Kueng contrabass recorder in C with an inside mic; samples recorded while I work with the punch tool are included. Patterns to Punctuate Song, with Darkness. The piece for Ute Wassermann is finished. Commissioned by the prestigious festival Salzburg Biennale for Ute’s solo presentation, it will be premiered on March 7th 2015. This is the title for the new piece, which will be: a vocal solo, plus electronics, extended by a ‘score’ made from a plastic punchcard-role for a knitting machine. ‘The Use of Punctuation Patterns in Machine Translation’ 1958. ‘The Iovis Trilogy. Colors in the Mechanism of Concealment.’ 2011. 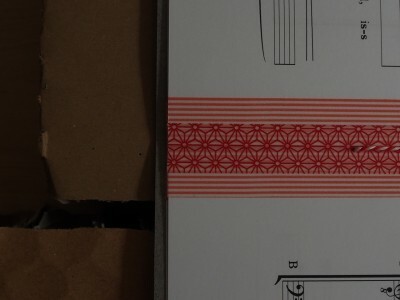 Eine meterlange Partitur auf Lochkartenrollen von Strickmaschinen dient zur Notation und als Objekt; im Stück von Pia Palme sind Punktuation und Musterbildung zentrale Themen. Das Regelwerk der Punktuation strukturiert die Sprache, verhindert Mehrdeutigkeit, und mittels gestanzter Lochkarten lassen sich Maschinen aller Art auf analoge Weise ansteuern. Die Mechanismen der Gewohnheit sind allerdings brüchig, findet die Komponistin, und beschäftigt sich lieber mit Rissen und Löchern, die interessante Blickpunkte freigeben und die Ungewissheit einladen.